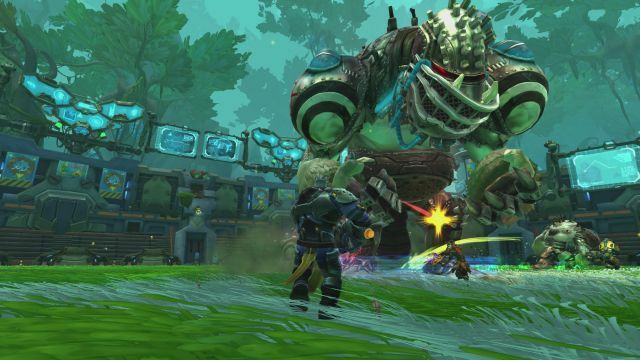 A brand, spanking new update has just arrived for NCSoft and Carbine Studio’s fantasy & sci-fi themed MMORPG, Wildstar. 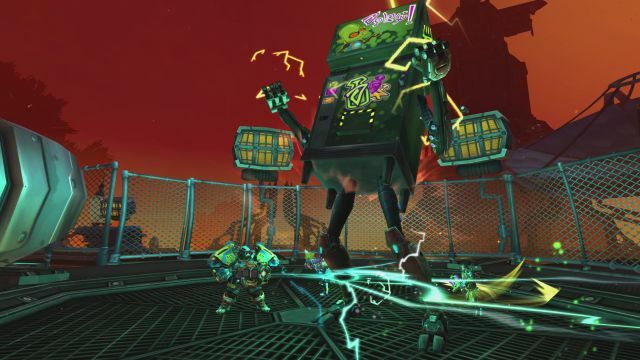 This new update which they’re calling the “Protogames Initiative” features the capitalist-loving green pickle men of Protostar as they set out to improve the planet of Nexus in the only way they know how: Commercial Promotions, Advertising and Forceful Marketing! This update also includes a hefty amount of new content and features, some of which have been needed for this game for quite a long time. I was given a quick preview for all this new content, as well as had a few questions answered to go with it. 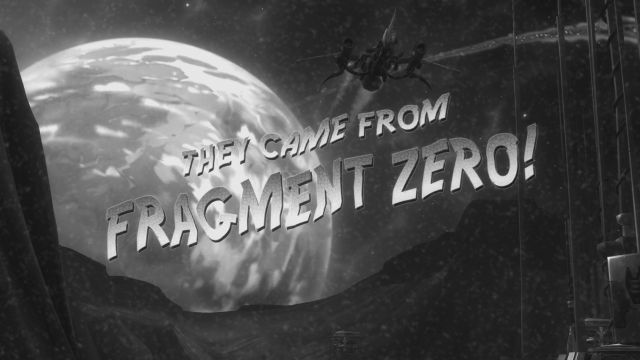 The first bit of content they showed off was one of the new shiphand missions (mini-dungeons) called “It Came from Fragment Zero!” which players can access early on in the game from LV6. 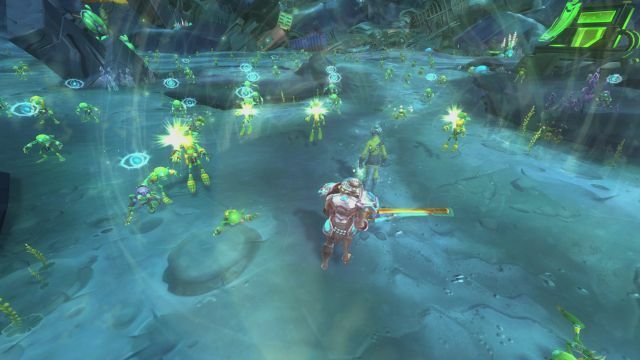 This new instance takes players on a wild journey through a skeech-infested space site, currently being controlled by an augmented and crazy Pell warrior. Just like with all other shiphand missions, players can either tackle these mini-dungeons by themselves or with up to four other friends. Along with a new shiphand mission, the Protogames Initiative also marks the arrival of veteran shiphand missions that can be enjoyed by elder game players. These instances allow fresh LV50 or casual players to gear up and prepare themselves for upcoming Adventure instances and let veteran players earn some extra elder gems, decor items and more. Pretty much there is always a reason for players to come back for more. Like with regular shiphand missions, these can be done solo or with up to four other players. The next bit of content that they showed off was the new Protogames Academy, a LV10 tutorial dungeon that teaches players how to handle themselves and work together as a group in order to tackle the more difficult dungeons that lie ahead, such as Stormtalon and Kel Voreth. The Protogames Academy will teach players how to destroy sets of interrupt armor, earn “Moment of Opportunity (“MoO”) damage by stunning or knocking down enemies, deal with all kinds of crowd control attacks, learn to dodge environmental hazards and so much more. 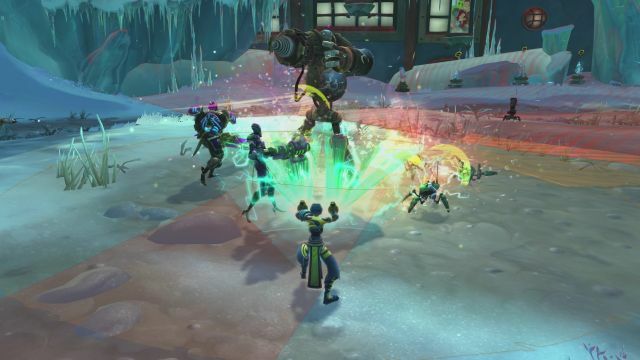 This is just another feature that Wildstar desperately needed for a long time, as it will make new players more confident in their ability to take on Wildstar’s challenging content rather than just raging quitting after the first wipe in Stormtalon. The last bit of content on preview was their newest dungeon called “The Ultimate Protogames,” which can only be described as some kind of Japanese game show from hell… IN SPACE. The main goal of this dungeon is to play through six of eleven different rooms in this dungeon, along with several mini-challenges that will increase your group’s overall score. The higher the score your group has by the end of the dungeon, the better chance players will have to achieve bronze, silver and goal level rewards. The development team mentions here that they’ve made a handful of changes to the way players will progress through dungeon content, as they now have a better idea of how to handle content development better than before through player feedback and metrics. Previously, a lot of dungeon ideas that sounded good on paper did not translate well once the active playerbase got a hold of it, suggesting that many concepts weren’t as straightforward, fleshed out or instantly understandable as they should be. But now that the game has been out for quite some time, players can expect future updates to be tuned a lot better than before. 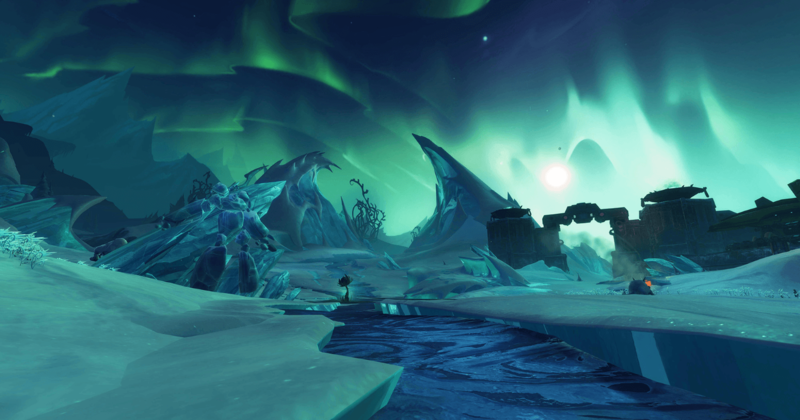 It was also mentioned that the new Ultimate Protogames dungeon will be the most difficult dungeon in Wildstar to date, dethroning Skullcano as the most difficult dungeon available. 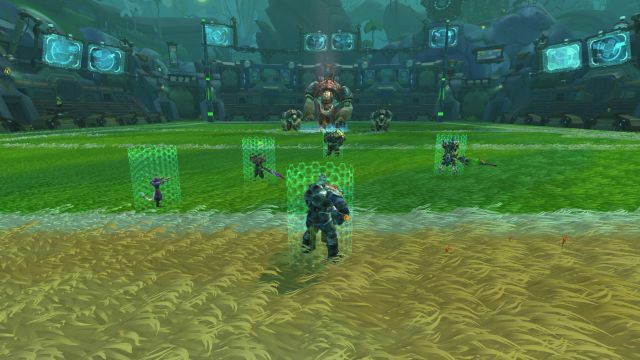 It makes sense then that the Ultimate Protogames will have the best-in-slot dungeon gear available (before raiding gear, of course), encouraging players to bring their A-game to the table. 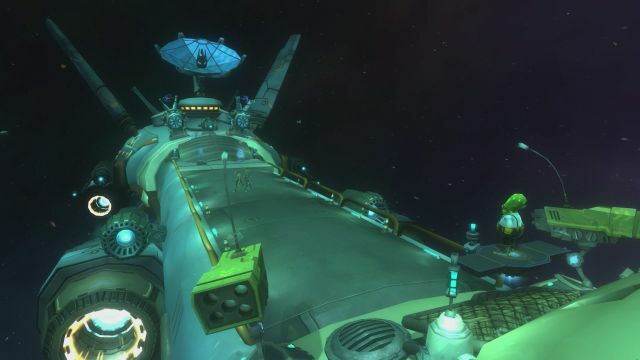 Some of the challenges that players will have to engage in for the Ultimate Protogames will border between silly and insane: One minute, you’ll be riding around on giant bird mounts while trying to eat, slash and smash as many critters as possible, while in the next instance you’ll be fighting off marauder pirates while riding on top of a spaceship that’s caught in hyperspace, and then in the next instance, you’ll be dodging lasers and jumping over giant beer kegs in order to reach a huge boss that just HAPPENS to be a giant ProtoStar brand vending machine. With up to six out of eleven different challenge rooms and several bosses to deal with, the Ultimate Protogames dungeon will contain a hefty amount of replay value while ensuring players will never go through the same run twice in a row. 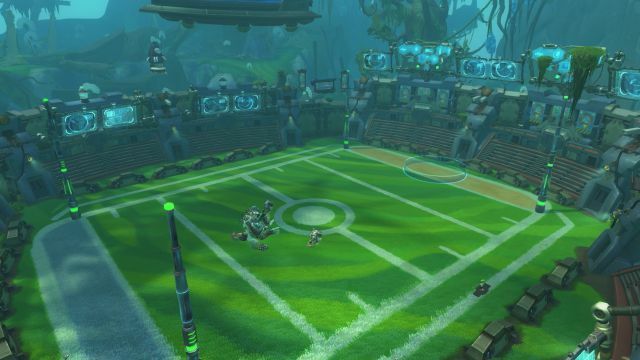 While this new update brings in a lot of new content, it also brings a lot of Quality-of-Life changes to the game, such as an improved leveling pacing from LV3 to LV42, new customization options for housing, an option to change your character’s physical appearance via an in-game barber shop, as well as changes to how the group finder works, CC changes, class changes, weekly quests and so many other changes that I couldn’t possibly list them all here. It’s quite clear that Carbine has been taking in a lot of player feedback to heart and have been implementing many of those suggestions straight into this next update. This is their ultimate love letter patch to match their “The Devs are Listening” motto. 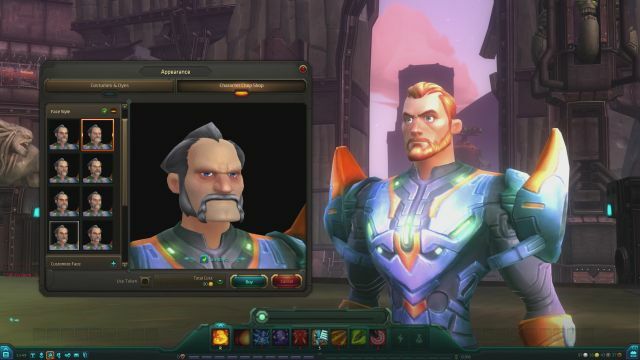 Overall, the new Protogames Initiative seems be Carbine’s biggest and best update for Wildstar yet. 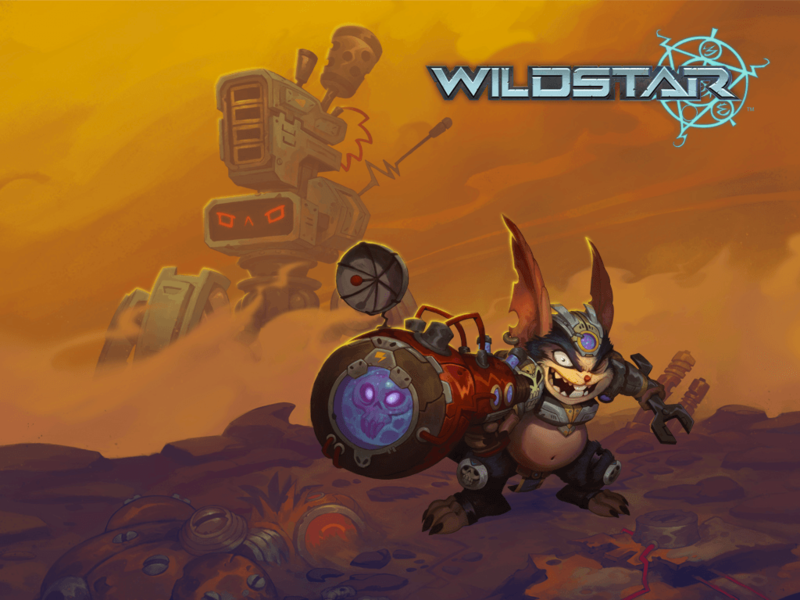 For those that haven’t touched Wildstar in a while or have been on the fence about trying the game at all, I would easily say that NOW is the time to jump in. 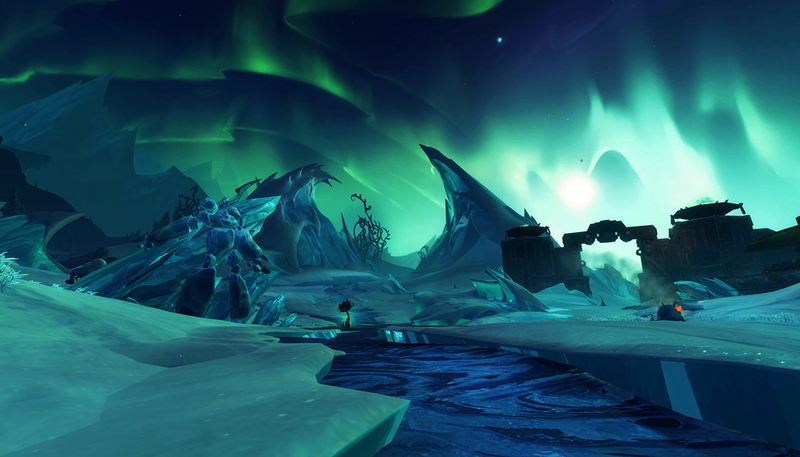 Want to learn more about Wildstar in vivid detail? If so, then be sure to stick around this month as Mikedot will be giving his long awaited review on the game!